A number of our clients who previously worked with CPAs other than our firm have had difficulty availing themselves of the IRS program whereby delinquent disclosers of offshore accounts may obtain a clean slate. FBAR reporting is required by all US persons who have a financial interest in, signature authority over, or other authority over foreign financial accounts with an aggregate value exceeding $10,000 at any time during the calendar year. FBAR reports must be received by the IRS on or before April 15 (can be extended six months) of the succeeding year. Failure to make a timely report will result in very substantial penalties. In 2009, the IRS introduced its IRS Offshore Voluntary Disclosure Program (OVDP). The program is intended to aid taxpayers with undisclosed foreign accounts to avoid criminal prosecution and to “come into the fold”. There are two versions of the OVDP, i.e. the Traditional and the Streamlined. The Streamlined version is intended for those taxpayers with a low risk of criminal prosecution and a valid cause for their failure to report and pay. Others who come forward to report their foreign accounts after their foreign bank entered into an agreement with the IRS or whose financial adviser makes a deal to turn over their client list to the IRS will need to follow the more Traditional OVDP program. Also, those taxpayers with no valid cause for having foreign accounts or who took steps to hide the account from the IRS will not be allowed to follow the Streamlined OVDP. In order to avail themselves of the Streamlined version, taxpayers must state under penalty of perjury that their conduct was not willful. If the IRS determines that the taxpayer claims not to have committed willful violations, but in fact were acting willfully, then IRS punitive actions will be much more extreme than would otherwise be the case. Taxpayers following the Streamlined OVDP program will be subject to reduced penalties (those penalties that apply to foreign financial assets only; the Traditional OVDP program must be used for non financial assets) for the delinquent filings of FBAR reports and payments thereon. If the delinquent filers are husband and wife and are both NON RESIDENTS of the US, they may be eligible for the zero penalty version of the streamlined program. This article is meant to provide a brief explanation of the OVDP. We strongly suggest that you seek professional assistance should you wish to take advantage of the several aspects of the OVDP. 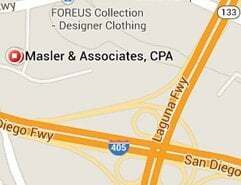 Please call us at (949) 857-0404 should you wish to consult with our knowledgeable accountants.